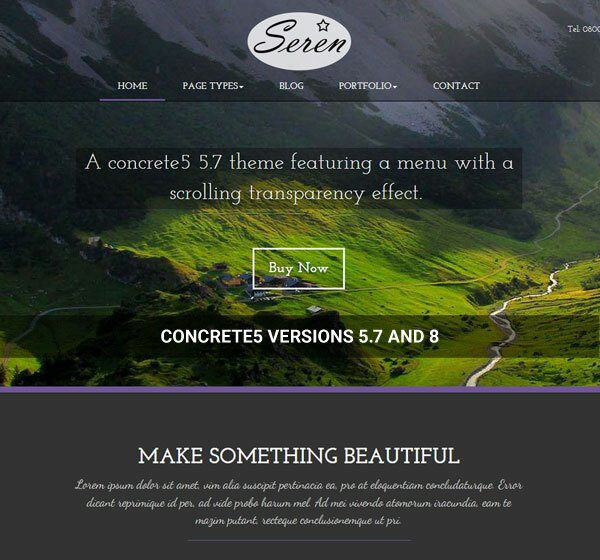 Seren features a top menu with transparency that becomes opaque as the user scrolls down. 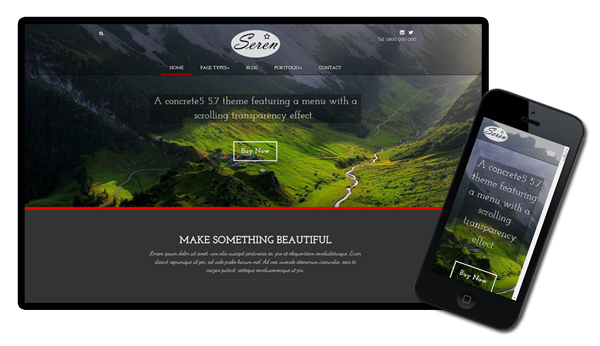 The theme provides sample content, multiple layouts, 7 colour presets and step by step instructions. Many features are included, such as button and accordion blocks, and custom templates for creating blogs and portfolios. Sample content. Quickly and easily set up your site. 7 colour presets. Easily change your theme colours with one of our 7 presets: blue, green, orange, pink, purple, red and white blue (for lighter themes). New! We've added a new colour preset for people who would like a lighter coloured theme. View the new colour preset on our demo.